Did you know that raw cacao benefits human longevity and health without negative side effects? Did you know that raw cacao benefits human longevity and health without negative side effects? 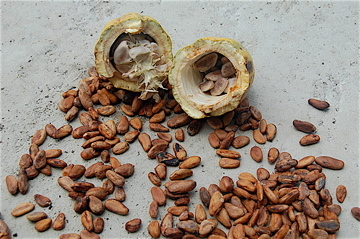 – Unlike processed dark chocolate, antioxidants are preserved in raw cacao. Benefits from keeping organic chocolate unheated include; much higher levels of the famous chocolate antioxidants (oligomeric procynanidins, resveratrol and the polyphenols: catechin and epicatechin) as well as the preservation of vitamin C, phenethylamine (PEA, the feel good neurotransmitter responsible for the feeling of love! ), Omega 6 fatty acids (which when heated become rancid and cause inflammation), tryptophan (a commonly deficient amino acid in those who consume a diet of mostly cooked food) and serotonin. The cool facts about chocolate in this article reveal how this fun and amazing superfood is actually healthy for you! It turns out that all the bad things commonly attributed to non-raw chocolate bars, such as cavities, weight gain and diabetes, are actually caused by the dairy, sugar and others fillers added to the dark chocolate. Health benefits of chocolate when it is in the form of raw cacao beans, butter, nibs and/or the powder include; weight loss (because of its high chromium and coumarin content), prevention of cavities (theobromine actually kills streptococci mutans one of the strains of bacteria that cause tooth decay) and regulation of blood sugar which is beneficial for diabetes (chromium can naturally regulate blood sugar). Also raw cacao benefits the heart and the entire cardiovascular system as a whole. Cacao is the highest whole food source of magnesium, which also happens to be the most deficient mineral in the diet of modern cultures. Magnesium relaxes muscles, improves peristalsis in the bowels and relaxes the heart and cardiovascular system. The dark chocolate antioxidants have been clinically proven to literally dissolve plaque built up in the arteries which helps in reversing heart disease and causes naturally lower blood pressure. Also, various other vitamins and minerals in raw cacao benefits the cardiovascular system. 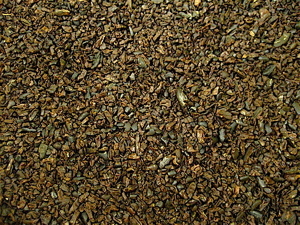 The antioxidant content of raw cacao benefits the cardiovascular and general whole body health. In processed dark chocolate, antioxidants such as epichatehins, chatechins, resveratrol and procyanidins can be present, but are in much lower levels than in unheated raw chocolate nibs as an example. Out of all the whole foods that contain antioxidants, raw chocolate is the highest in the world. It dwarfs the popular foods and beverages commonly touted as being antioxidant rich foods such as red wine, green tea and blueberries by a factor of 10x or more! There are certain herbs and spices, such as the chaga mushroom and cinnamon, which have higher levels of antioxidants in them but generally you won’t be consuming enough volume of them to get as much antioxidant value from them as you would from a normal dose of raw cacao. Benefits from consuming antioxidants come when a range of different types of foods high in them are in your diet, since different coloured foods have different antioxidant compounds which target different parts of the body. The phytochemical analysis of cacao beans reveal that raw chocolate is perhaps the most chemically complex food on Earth. 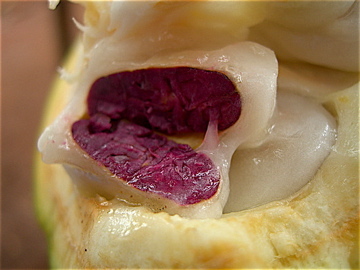 There are compounds yet to be discovered in this most amazing of live superfoods. Phytochemicals usually degrade in the cooking process, so the raw forms of them should be abundant in every diet for longevity. The nutrient density of raw cacao benefits every function of the body. One of the many cool facts about chocolate is that it is the highest source of magnesium and chromium of any food! Magnesium is the most deficient mineral in the average human. All of the compounds found in raw cacao benefits longevity in humans. There are a plethora of scientific studies on the health benefits of chocolate and none that have been able to prove any negative health effects associated with it (unless the chocolate has additives like dairy or sugar). Dr. Gabriel Cousens conducted a study on the health benefits of chocolate in February of 2008. What he discovered was that raw cacao benefits diabetics as a safe food since it raises blood sugar less than almost any other food, despite it’s theobromine content! It even raises insulin sensitivity! One of the other cool facts about chocolate that he discovered was that it’s not toxic to the liver (many people are falsely claiming the contrary), except when combined in large amounts with sweeteners high in fructose such as agave. This is basically the only well known clinical study done specifically on how raw cacao benefits human health. It has been shown that raw cacao benefits a wide range of cardiovascular issues. The dark chocolate antioxidants and abundant amounts of magnesium and other phytochemicals can balance blood pressure, lower high cholesterol, scrub away arterial plaque and promote general health by reversing heart disease. (Raw) chocolate bars are known as a great remedy for many menstruation issues women can get. It is also confirmed as an aphrodisiac for both genders. What more do you want from one of the worlds top live superfoods? For more information about this amazing superfood, check out the book “Naked Chocolate” by David Wolfe and Shazzie which is packed full of information and amazing recipes! The famous “Dutch study”, which was done on regular processed chocolate, followed over 200 Dutch men over the course of twenty years and found that those who ate the most milk and dark chocolate had lower rates of all major diseases compared to those who ate little to no chocolate. The health benefits of chocolate were really emphasized in this study by the fact that there was no upper limit to how much chocolate could be consumed by these men. What they literally discovered was that the more chocolate you eat, the more your potential for human longevity increases! The chocolate being eaten in this study was processed milk chocolate mostly, so just imagine the difference that would come from eating raw cacao beans, nibs or other raw cacao products instead! In a Harvard study on the Kuna indian tribe off the coast of Panama, there was a unique chance to examine the health benefits of dark chocolate in a controlled way. Close to the region where the Kuna tribe lived there were other tribes of identical genetic heritage, very similar diet and identical lifestyle habits. The only difference was that the Kuna tribe lived in an area where cacao trees grew abundantly. They would consume up to 5 cups of a bitter dark chocolate drink on a daily basis (although they weren’t aware of how raw cacao benefits your health even more than the cooked version). This resulted in them having lower rates of all major diseases as well as a longer average life expectancy. 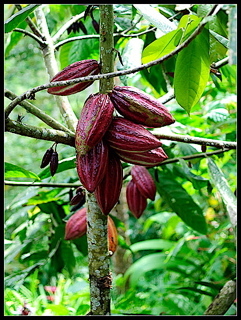 This study lead by Dr. Hollenberg spurred more research on the health benefits of chocolate, as well as the unique dark chocolate antioxidants that were abundant in these cacao drinks the Kuna tribe enjoyed so much. The world’s oldest human being to have ever lived (that was officially documented) was Jeanne Louise Calment of France. She lived to be 122 and many say that one of her secrets to longevity was her consumption of 2.5 pounds of bitter dark chocolate a week. The third “official” oldest person ever to have lived was Sarah Knauss, who also regularly enjoyed the health benefits of chocolate, although not in as large quantities as Jeanne! On top of that, Chanel, perhaps the world’s oldest dog to have ever lived (she lived to be 21, 147 in dog years), ate chocolate on a regular basis. She even once devoured an entire bag of Reese’s Peanut Butter Cups! This is very odd since chocolate is commonly touted as being toxic to dogs, even in small quantities… Imagine how long these people and animals could have lived if they had been aware of how raw cacao benefits your health more than the processed version. Despite the overwhelming evidence for the health benefits of chocolate, their are still many grumpy and prudish people out there “cocoa-bashing”. These people never have any evidence to support their opinions. This is simply because there are no scientific studies that show any detriments to consuming chocolate! Raw cacao benefits all people who consume it unless their constitution is imbalanced. There is anecdotal cases of people having bad reactions to it. This is what these anti-chocolate campaigners go on and on about, yet little do they know that people can have bad reactions to any food depending on their own unique constitution. The amount that they take and/or whether the raw chocolate (or cooked chocolate) product is contaminated in some way will affect different people in different ways. Much in the same way people can have negative reactions to the Chinese herbs ginseng or astragalus if they are imbalanced, a strong Jing foundation must be developed first to support the very Shen building qualities of raw cacao beans and other raw chocolate products. The theobromine content of raw chocolate nibs and all other chocolate products is the chemical commonly vilified as being toxic. However no death or liver injury from theobromine poisoning in healthy humans has ever occurred! Over 20 pounds of pure raw chocolate would need to be consumed all at once to reach toxic levels of this phytochemical. The alkaloid theobromine is a cardiovascular stimulant that has little to no affect on the nervous system. It dilates blood vessels which naturally lowers blood pressure (taking strain off the heart) and increases nutrient uptake during digestion (when combined with adaptogenic herbs and other live superfoods, raw cacao benefits and potentiates these other phytochemicals). Theobromine also kills streptococci mutans, one of the main types of bacteria responsible for tooth decay and improves asthmatic type conditions by opening up the lungs. Of course anyone with liver damage should avoid chocolate products because of their high copper content and not so much because of their theobromine content. Stimulants in an of themselves are not a problem, as all foods contain various depressing or stimulating factors within them. Caffeine which is actually more harmful than theobromine is either very low or absent in chocolate (depending on the variety of cacao beans used to make the product). Virtually all plant foods contain different alkaloids which are toxic when isolated from the plant and taken in large doses. This does not mean that the plants that contain them need to be blamed in any way. When a persons body begins accumulating too much of a certain alkaloid, a natural aversion to that food begins to develop until the metabolism of the body has removed that compound. The many raw cacao benefits are also called into question when people learn about its oxalic acid content. Oxalic acids can accumulate in the body blocking calcium absorption, causing kidney stones and other forms of calcification. 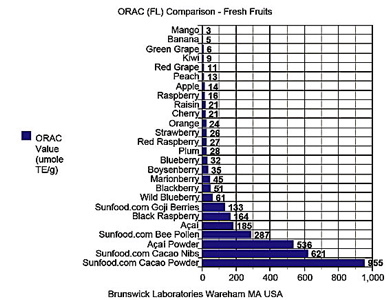 It should be noted that many other common foods can contain up to 10x the amount of oxalic acid as chocolate. When you compare how much chocolate people eat at once (a few grams at most) to the amount of spinach (which is high in oxalates) that can be eaten, it becomes absurd to be afraid of this factor that’s present in cacao beans. One of the cool facts about chocolate in it’s unheated state is that the oxalic acid is harmless since only cooked oxalic acid combines with calcium to form oxalates that can accumulate in the body! Finally, many people are afraid of becoming addicted to this superfood. Despite all the raw cacao benefits in this article showing that this is perhaps the best thing to be “addicted” too, people still attack the health benefits of chocolate. You can become addicted to any type of food especially if it tastes good and makes you feel good! With the exception of physically addictive substances (like heroine or cigarettes), addiction is an entirely mental condition and needs to be addressed by temporarily abstaining from the food or thing that you’re addicted too and then addressing the underlying emotional issues causing the attachment to that food or activity. Vilifying and claiming the activity is toxic is not addressing the issue and will lead a person with an addictive personality to some other food or activity to take its place. The health benefits of chocolate are outstanding and any addiction to it is the fault of the individual and not the chemicals within the cacao beans themselves.